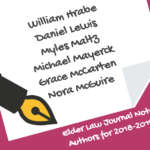 Please join us in welcoming the following students selected for membership to the UIUC Elder Law Journal: Joseph Anderson, Lauren Ceckowski, Nicole Diorio, Blair Engerman, Melanie Fierro, Adam Gottschalk, Zev Grumet-Morris, Soyoon Kim, Carson Klark, William Kovaleski, Damon Lim, Preslav Mantchev, Ashley Monzel, Joseph Mulhern, James Oggerino, Andrew Rudolph, Ryan Weitendorf, Brittany Wiegand, and Nathan Yeary! 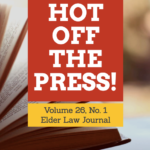 Next post: Hot off the Press! Vol. 26, No. 1 is Here!